By Uzair Amir on December 9, 2017 When it comes to pre-installed malicious software, HP (Hewlett-Packard) has a thing for them. In May this year, the tech giant was in the news after security researchers found a pre-installed keylogger in HP machines. Now, a researcher going by the online handle of “Zwclose” has identified the presence of yet another keylogger in HP laptops providing an easy way for attackers to track every keystroke and steal personal and financial data of HP users. The keylogger was detected in HP keyboard driver SynTP.sys (Synaptics Touchpad Driver), a part of a touchpad utility program that runs in the background and is activated once the application that houses it is launched on HP laptops. “The keylogger saved scan codes to a WPP trace. The logging was disabled by default but could be enabled by setting a registry value (UAC) required),” explained Zwclose. HP users can follow this link to HP support site and find the list of affected models and download patched drivers. It's 2016 going on 1984. 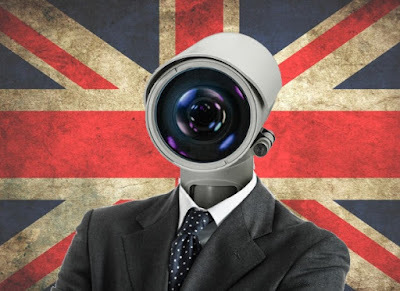 The UK has just passed a massive expansion in surveillance powers, which critics have called "terrifying"and "dangerous". The new law, dubbed the "snoopers' charter", was introduced by then-home secretary Theresa May in 2012, and took two attempts to get passed into law following breakdowns in the previous coalition government. Four years and a general election later -- May is now prime minister -- the bill was finalized and passed on Wednesday by both parliamentary houses. But civil liberties groups have long criticized the bill, with some arguing that the law will let the UK government "document everything we do online". It's no wonder, because it basically does. The law will force internet providers to record every internet customer's top-level web history in real-time for up to a year, which can be accessed by numerous government departments; force companies to decrypt data on demand -- though the government has never been that clear on exactly how it forces foreign firms to do that that; and even disclose any new security features in products before they launch. Not only that, the law also gives the intelligence agencies the power to hack into computers and devices of citizens (known as equipment interference), although some protected professions -- such as journalists and medical staff -- are layered with marginally better protections. In other words, it's the "most extreme surveillance law ever passed in a democracy," according to Jim Killock, director of the Open Rights Group. The bill was opposed by representatives of the United Nations, all major UK and many leading global privacy and rights groups, and a host of Silicon Valley tech companies alike. Even the parliamentary committeetasked with scrutinizing the bill called some of its provisions "vague". And that doesn't even account for the three-quarters of people who think privacy, which this law almost entirely erodes, is a human right. There are some safeguards, however, such as a "double lock" system so that the secretary of state and an independent judicial commissioner must agree on a decision to carry out search warrants (though one member of the House of Lords disputed that claim). A new investigatory powers commissioner will also oversee the use of the powers. Despite the uproar, the government's opposition failed to scrutinize any significant amendments and abstained from the final vote. Killock said recently that the opposition Labour party spent its time "simply failing to hold the government to account". But the government has downplayed much of the controversy surrounding the bill. The government has consistently argued that the bill isn't drastically new, but instead reworks the old and outdated Regulation of Investigatory Powers Act (RIPA). This was brought into law in 2000, to "legitimize" new powers that were conducted or ruled on in secret, like collecting data in bulk and hacking into networks, which was revealed during the Edward Snowden affair. Much of those activities were only possible thanks to litigation by one advocacy group, Privacy International, which helped push these secret practices into the public domain while forcing the government to scramble toexplain why these practices were legal. The law will be ratified by royal assent in the coming weeks. This week a law was passed that silently rips privacy from the modern world. It’s called the Investigatory Powers Act. Under the guise of counter-terrorism, the British state has achieved totalitarian-style surveillance powers – the most intrusive system of any democracy in history. It now has the ability to indiscriminately hack, intercept, record, and monitor the communications and internet use of the entire population. The hundreds of chilling mass surveillance programmes revealed by Edward Snowden in 2013 were – we assumed – the result of a failure of the democratic process. Snowden’s bravery finally gave Parliament and the public the opportunity to scrutinise this industrial-scale spying and bring the state back into check. But, in an environment of devastatingly poor political opposition, the Government has actually extended state spying powers beyond those exposed by Snowden – setting a “world-leading” precedent. The fact that you’re on this website is – potentially – state knowledge. Service providers must now store details of everything you do online for 12 months – and make it accessible to dozens of public authorities. What does your web history look like? Does it reveal your political interests? Social networks? Religious ideas? Medical concerns? Sexual interests? Pattern of life? What might the last year of your internet use reveal? Government agencies have even won powers to hack millions of computers, phones and tablets en masse, leaving them vulnerable to further criminal attacks. You might think that you have nothing to hide, and therefore nothing to fear. In that case, you may as well post your email and social media login details in the comments below. But I don’t think we do feel that blasé about our privacy – we cherish our civil liberties. Everyone has a stake in guarding our democracy, protecting minorities from suspicionless surveillance, defending protest rights, freedom of the press, and enjoying the freedom to explore and express oneself online. These freedoms allow our thoughts, opinions and personalities to flourish and develop – they are the very core of democracy. Has any country in history given itself such extensive surveillance powers and remained a rights-respecting democracy? We need not look too far back – or overseas to see the risks of unbridled surveillance. In recent years, the British state has spied on law-abiding environmental activists, democratically elected politicians, victims of torture and police brutality, and hundreds of journalists. In fact, as the Bill finally passed on Wednesday evening, I was training a group of British and American journalists in how to protect themselves from state surveillance – not just from Russia or Syria, but from their own countries. When Edward Snowden courageously blew the whistle on mass surveillance he warned that, armed with such tools, a new leader might “say that ‘because of the crisis, because of the dangers we face in the world, some new and unpredicted threat, we need more authority, we need more power.’ And there will be nothing the people can do at that point to oppose it”. The US finds itself with a President-elect who has committed to monitoring all mosques, banning all Muslims, investigating Black Lives Matter activists and deporting two to three million people. And with the ushering into law of the UK-US free trade in mass surveillance, MPs may have a lot to answer for. Liberty and its members fought tooth and nail against this new law from its inception to the moment it was passed. That fight is not yet over. Our message to Government: see you in court. The United Nations has passed a non-binding resolution condemning the disruption of Internet access as a human rights violation. While not legally enforceable, a resolution such as this can help put pressure on governments and add weight to the arguments of digital rights groups. Digital rights site Access Now’s Global Policy and Legal Counsel representative, Peter Micek, enlarged on this. Such throttling was witnessed in Turkey following the June 2016 attack on Istanbul’s Ataturk Airport, whensocial media sites were suppressed. 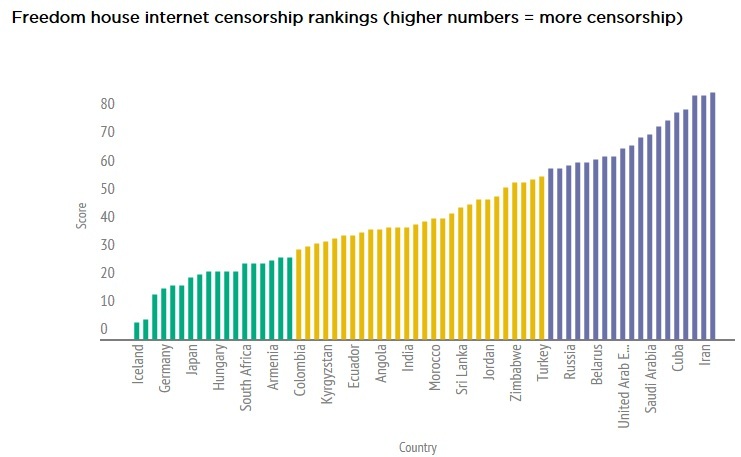 Access Now says at least 15 Internet shutdowns took place worldwide in 2015. So far in 2016, at least 20 shutdowns are known to have been put into place. USE FANTASTIC AMOUNTS OF "DISCERNMENT" WITH THE GOVERNMENT SPOKESPERSON'S SPIEL AT 6 MINS 10 secs OR SO IN THIS VIDEO [and elsewhere]!!! PURE TRIPE!! 1] my computer being hacked - on seeing this strange event, which had happened a couple of time before this time, I quickly grabbed my mobile phone and recorded it - theentire events only lasting around 2 minutes, if that. The "shaking screen" stopped after making this video public in July 2016. I came upon this clip on an old mem. stick = 1st May 2014, whilst trying to make a video about what I believed was my mobile being tracked, the event was interrupted by HMP [Her Majesty's Prisons] calling on my landline [out of use now because of endless hassle one way or another] after id already asked this HMP how MK was. Hed been refused a serious stomach operation - in the end, for a total of 18 months, only getting the required treatment after his release in March 2015, the ailment beginning after he'd been on hunger strike for approx. 33 days, before the prison dr. in HMP Cardiff relented and gave him the desired letter he'd been trying to get for months, if not years, confirming that he had no "brain tumour" as the dodgy consultant psychiatrist Williams had tried to make out in a report he'd made, used in court, in an effort to get MK locked away forever in an asylum. The story told to the warder was of course fictitious, as what i wanted to know was where MK was, as he had disappeared into the system after a court hearing, which had already been resolved by then. If You Have a Smart Phone, Anyone Can Now Track Your Every Move + SNOWDEN: HOW TO TURN YOUR PHONE "BLACK"
Details about text messages, phone calls, emails and every website visited by members of the public will be kept on record in a bid to combat terrorism. The Government will order broadband providers, landline and mobile phone companies to save the information for up to a year under a new security scheme. What is said in the texts, emails or phone calls will not be kept but information on the senders, recipients and their geographical whereabouts will be saved. Direct messages to users of social networking sites like Facebook and Twitter will also be saved and so will information exchanged between players in online video games. The information will be stored by individual companies rather than the government. The news has sparked huge concerns about the risk of hacking and fears that the sensitive information could be used to send spam emails and texts. Nick Pickles, director of privacy and civil liberties campaign group Big Brother Watch, said: 'Britain is already one of the most spied on countries off-line and this is a shameful attempt to watch everything we do online in the same way. 'The vast quantities of data that would be collected would arguably make it harder for the security services to find threats before a crime is committed, and involve a wholesale invasion of all our privacy online that is hugely disproportionate and wholly unnecessary. 'The data would be a honey pot for hackers and foreign governments, not to mention at huge risk of abuse by those responsible for maintaining the databases.It would be the end of privacy online. 'The Home Secretary may have changed but it seems the Home Office’s desire to spy on every citizen’s web use and phone calls remains the same as it was under Labour. It is believed the Home Office started talks with communication companies a few months ago and could officially be announced in May. The plans have been drawn up by home security service MI5, MI6 which operates abroad, and the GCHQ, the governments communication headquarters which looks after the country's Signal Intelligence. Security services would then be able to request information on people they have under surveillance and could piece together their movements with information provided. Mobile phone records are able to show within yards where a call was made from and emails will be tracked using a computer's IP address. Security services are said to be concerned about the ability of terrorists to avoid tracking through modern technology and are believed to have lobbied Home Secretary Theresa May to introduce the scheme. According to The Sunday Times ministers are planning to include the spy initiative called the Communications Capabilities Development Programme in the Queen's speech in May. Jim Killock, executive director of the Open Rights Group, said: 'This would be a systematic effort to spy on all of our digital communications. 'No state in history has been able to gather the level of information proposed,' he said to The Sunday Times. Smartphone apps are being used by the companies that sell them to store information about your children. The apps can gather information of their whereabouts, who they are talking to and even store photographs. Small print in the information provided before it is downloaded gives permission for the information to be accessed. The Sunday Times examined 200 apps available and out of those 170 provided the right to access some information stored on the phone. Developers have said they need the information in order to ensure the products work properly but some of the data accessed has little relevance. Last week it was discovered the app for Twitter had been secretly accessing mobile phone address books. Mr Pickles added it was proof of how weak regulation was. Navizon I.T.S. makes it easy to pinpoint Wi-Fi devices anywhere its listening nodes are installed. Location services company Navizon has a new system, called Navizon I.T.S., that could allow tracking of visitors in malls, museums, offices, factories, secured areas and just about any other indoor space. It could be used to examine patterns of foot traffic in retail spaces, assure that a museum is empty of visitors at closing time, or even to pinpoint the location of any individual registered with the system. But let’s set all that aside for a minute while we freak out about the privacy implications. Most of us leave Wi-Fi on by default, in part because our phones chastise us when we don’t. (Triangulation by Wi-Fi hotspots is important for making location services more accurate.) But you probably didn’t realize that, using proprietary new “nodes” from Navizon, any device with an active Wi-Fi radio can be seen by a system like Navizon’s. To demonstrate the technology, here’s Navizon CEO and founder Cyril Houri hunting for one of his colleagues at a trade show using a kind of first person shooter-esque radar. And here’s a website set up by Navizon to anonymously log the devices of pedestrians who walk by its offices in Miami Beach, FL. Finally, here’s a promo video that lays out the workings of the technology fairly succinctly, starting at 1:40. It’s important to note that the technology is inherently (somewhat) anonymous. Navizon’s system can determine where you are, but not necessarily who you are, since all it sees is a Wi-Fi radio. However, because each device has a unique signature, Navizon’s system does know whether you’ve been in a place before. This could be used for security – is someone showing up in the same place over and over again, possibly casing the joint? – or by a retailer who wants to track repeat customers. In addition, Navizon also has the ability to assign real identifying information to a device, but it’s a process that could hardly occur without your knowledge. Here’s Houri again, demonstrating the capability. This might be useful in, for example, a hospital that wants to know where a given medical staffer is at any given moment. Navizon I.T.S. isn’t just useful for the owner of the system – using custom floor layouts or the indoor portions of Google Maps, it can help people precisely locate themselves within buildings, much like the Bluetooth beacon system proposed for use in concert with Broadcom’s new GPS chip. Navizon’s technology is also reminiscent of the location data provided to retailers and marketers by Skyhook’s Spotrank system, which has a different set of pros and cons: That data is available for every point on the planet, but it only includes devices running Skyhook software. It shouldn’t be surprising that carrying around a little RF transmitter in your pocket makes you visible to all sorts of tracking technology. Maybe it’s simply the (inevitable) commercialization of this fact that is somehow unnerving. If this feature creeps you out a little bit, you're not alone. "Have you ever bothered to click on the "Places" map on your Facebook timeline? It kind of creeped me out the first time I tried it. It almost felt like Facebook was stalking me. Hovering my mouse pointer over any of the red dots on the Facebook Places map revealed pictures I had been tagged in at each location, status posts I had made from different places, etc. I had never really thought that Facebook was aggregating all of this geotag data together, and frankly, I'm not crazy about them doing this for me. Depending on your privacy settings, your friends and others may also be able to see this information. If you don't like Facebook presenting your location information in a scrapbook-for-stalkers format, you can turn it off (sort of). Let's take a look at a few things you can do to remove your location data from the Facebook Places map. To ensure that future pictures posted to Facebook and other social media sites don't reveal your location information, you should make sure that the geotag information is never recorded in the first place. Most of the time this is done by turning off the location services setting on your smartphone's camera application so that the geotag information doesn't get recorded in the picture's EXIF metadata. There are also apps that will help you strip our the geolocation information of pictures you've already taken. You might want to try deGeo (iPhone) or Photo Privacy Editor (Android) to remove the geotag info from your photos before uploading them to social media sites. When you first installed Facebook on your mobile phone, it probably asked for permission to use your phone's location services so that it could provide you with the ability to "check-in" at different locations and tag photos with location information. If you don't want Facebook knowing where you are posting something from, then you should revoke this permission in your phone's location services settings area. Facebook recently made an attempt to go from a super-granular privacy settings structure to an ultra-simple one. It now appears that you cannot selectively prevent people from tagging you at a location, however, you can turn on the tag review feature which allows you to review anything you've been tagged in, whether it's a picture or a location check-in. You can decide whether tags get posted before they are posted, but only if you have the tag review feature enabled. 1. Log into Facebook and select the settings padlock icon next to the "Home" button at the top right corner of the page. 2. Click the "See More Settings" link from the bottom of the "Privacy Shortcuts" menu. 3. Click the "Timeline and Tagging" link on the left side of the screen. 4. In the "How can I manage tags people add and tagging suggestions?" section of the "Timeline and Tagging Settings menu, click the "Edit" link next to "Review tags people add to your own posts before the tags appear on Facebook?" 5. Click the "Disabled" button and change its setting to "Enabled". 6. Click the "Close" link. After this setting is enabled, any post that you are tagged in, whether it's a photo, location check-in, etc, will have to gain your digital stamp of approval before it's posted to your timeline. This will effectively prevent anyone from posting your location without your express permission. Also located in the newly revamped Facebook privacy settings area is a "Who can see my stuff" option. This is where you can limit the visibility of future posts (such as ones with geotags in them). You may choose "Friends", "Only Me", "Custom", or "Public". I advise against choosing "Public" unless you want the whole world knowing where you are and where you've been. This option applies to all future posts. Individual posts can be changed as they are created or after they are made, in case you want to make something more public or private later on. You can also use the "Limit Past Posts" option to change all of your old posts that might have been "Public" or "Friends of Friends" to "Friends Only". It's a good idea to check your Facebook privacy settings about once a month as they seem to make sweeping changes on a regular basis that could affect the settings you have in place. Check out our Facebook Privacy and Security section of our site for more guidance. DON'T BE HACKED! "Interview With Cypherpunk Privacy VPN – Protecting Internet Users Against Surveillance"
I recently spoke with a representative from Cypherpunk Privacy about their Virtual Private Network (VPN) service and what separates them from other VPN companies; their answer was a passion for privacy, security and fighting against surveillance. “Pretty much everything. From day 1, the plan has always been ‘no compromises.’ Every decision, every step of the way, we say, ‘What’s the best possible way to do this to protect our users’ privacy?,'” Cypherpunk Privacy told me. Cypherpunk as a company began around 1.5 years ago, but they just started letting people use the service a few weeks ago. “We are currently in a free preview, and it will still be a few more weeks before we will officially launch and begin selling the service,” Cypherpunk said. The representative explained why the company is based in Iceland and how its CEO has traveled all over the world to form the company. Interestingly, the company has taken its time to build a framework of integrity that is apparently missing from other VPNs, which is something that most people might feel is automatic in the Internet security business. We could have launched 6 or 7 months ago, but we wanted our first version to be better than the competition. We are heavily funded, privately, from personal friends and family, who wanted to help us make the world a better place. If you dig deep enough into the funding behind some of the ‘top VPN services,’ their connections are pretty scary and make you question just how safe you are with them. Most of the VPNs use outsourced customer service – paying other companies to handle their support. That means giving other companies access to customer information. We do our own support, and always will. Most VPNs use Google Analytics on their website, the industry standard and honestly the best stats collection setup out there. We use a hardened, self-hosted Piwik Analytics setup, set up to anonymize IP addresses and not connected to GeoIP databases and regularly purge the stats, to protect our users even more. This is not at all an ideal setup from a marketing standpoint and actually, makes it much harder for us to acquire users and make money – but it’s the best setup from a privacy standpoint, and that is and always will be, or top priority. Most VPNs use conversion tracking cookies from Facebook, Twitter and other 3rd parties – we don’t. That makes my job much harder, as I can’t create ‘conversion campaigns’ that are optimized for signups – but it protects our users’ privacy. 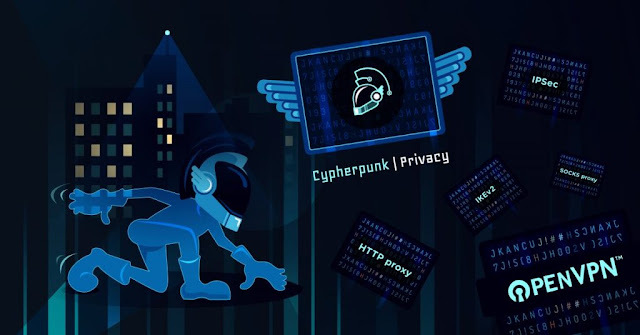 Cypherpunk Privacy is also offering users of their VPN a service called “CypherPlay™” which allows users to watch 300 streaming services anywhere in the world including Netflix, Hulu and HBO Go, they stated. When asked about the technical details of the service, Cypherpunk Privacy claimed to “support all major VPN and proxy protocols with up to RSA-4096 + AES-256 encryption.” Adding that they have four different “encryption modes” – “Balanced – 128-bt AES Max Speed – no encryption Max Privacy – 256-bit AES Max Stealth – 128-bit AES + XOR on HTTPS port.” Max Stealth will bypass restrictive firewalls put in place by governments, corporations, and ISPs to achieve an open Internet experience – even China’s great censorship firewall. Another major plus of the Cypherpunk Privacy VPN network is the ability to use five devices simultaneously, which means that competing VPN services will have a run for their money traditionally only allowing 1-2 devices per customer. You can try out Cypherpunk Privacy now for free while it’s in a free preview just use this link. After the free preview period, the group told me that they will offer packages of – one month, six months and one year, while additionally offering an early adopter deep discount that will remain active for as long as you are subscribed to their service. Pricing has not yet been announced at the time of this writing. The VPN can be purchased using credit/debit, PayPal, Amazon, Bitcoin and in-app billing through Google Play and Apple App Store, with the most secure (depending on the wallet you use) and “anonymous” method being Bitcoin of course.